No. 567, 2nd Cross, 2nd Block, RT Nagar Bangalore - 560032, Karnataka, India. 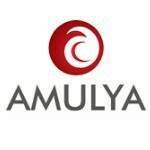 Amulya built its first apartment project in 1991 in Bangalore when the trend in group housing was slowly emerging in the city as well as for those who were associating with Information Technology, with its budding stage in Bangalore. Gradually, Bangalore emerged as the hub of I.T industry and hence one of the major reasons for the increase in need for quality housing. Amulya homes are always in demand as seen from the overwhelming response to buy and own a home. With the super fine quality, all modern amenities, the owners of Amulya home are always happy with their money value houses. This is evident from the fact that most of Amulya houses sell fast before the foundation work starts. It always stands with its credibility in completing the projects well in time. The Company always honour the trust of the customers by giving them a super quality house with prompt completion as per schedule and handing over possession, and these very same customers even promote our homes with their word of mouth. Amulya Projects have become known to many, even winning great compliments from overseas customers.